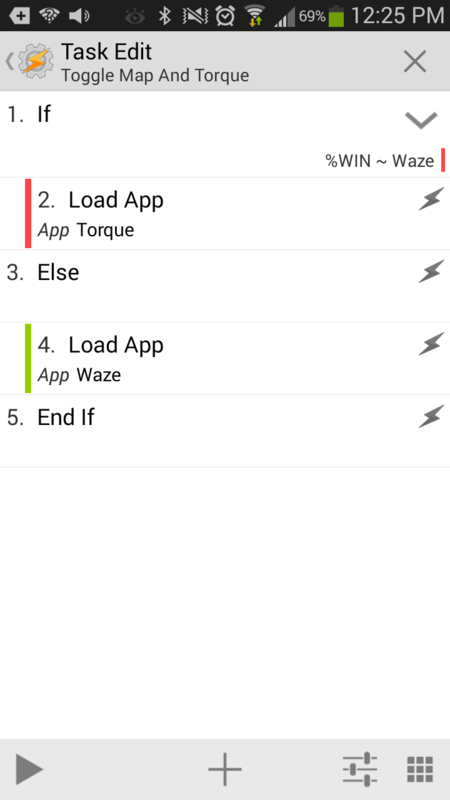 How to toggle between 2 or more apps in Android using Tasker geared for Pebble users. I have a Samsung III. That means I cannot use a very simple but useful command that lets me load the last app used but not the current app. However, there is a way around this. In fact, you can do something even cooler if you are willing to put in the time. For this post I’m going to assume you already know how to use Tasker, so I’m going to jump right in. If you do not know Tasker and Pebble Tasker, go through this tutorial first getting the news on the pebble. The key to making this work is the Tasker reserved Variable %WIN. This is the name of the window of the app in question. If you are not sure what the name of the application is, you can create a simple pop up with %WIN as the text. Pretty simple isnt it? Basically what we are doing is setting up an IF statement that look at the name of the current app. If that name is a match, then load another app. In this case, if the current window is Waze, then load Torque. 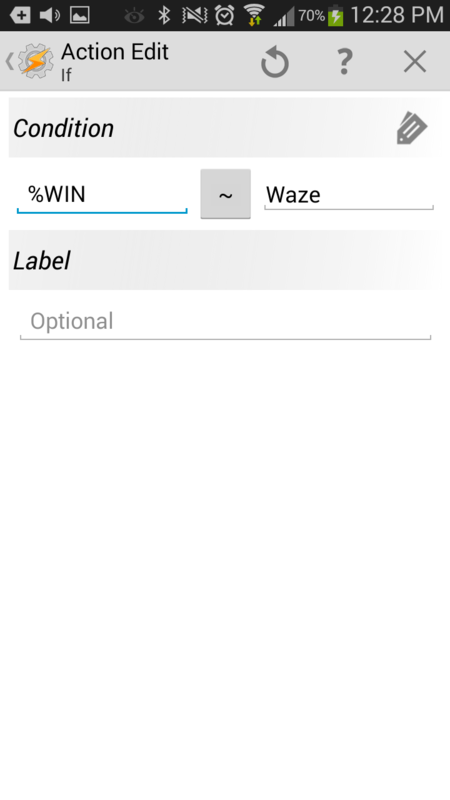 IF %WIN==’Waze’ (then) Load App ‘Torque’. Then next time this task is called the reverse will be true, IF %WIN==’Torque’ (then) Load App ‘Waze’. If neither app is running then nothing happens. You can extend this further by simply adding more apps. You can have as many as you like. You can use either “IF” or “Else” depending on your coding style. Now simple create a pebbletasker button that calls this task and you can toggle all day long form your watch. The great use case for me is when I’m driving. Although I am having issue with Torque starting in the Dashboard screen when I click over. Hopefully there will be a way to solve this bug in the future.